Hey y'all! Things have been picking up in full steam around here. We have our Open House in the works, a growing baby, and weddings on weddings! We have been so looking forward to featuring one of our special March weddings on our Real Wedding series! Christina and Trey were married at Peach Creek Ranch in College Station on March 25th and their Aggie wedding was absolutely gorgeous!!! After Christina and Trey finished setting up and getting ready, they shared a "first touch" with each other before they said "I Do". This day was full of such sweet moments, followed by such a fun party! Christina & Trey spent the morning getting ready with their close friends and family in our cottages and Christina shared a sweet moment with her father and soon-to-be hubby! They had the most precious little helpers to help them walk down the aisle. One of our favorite parts of any wedding is watching the groom as his beautiful bride walks down the aisle. The love these two have for each other is so obvious! These two definitely know how to have fun! 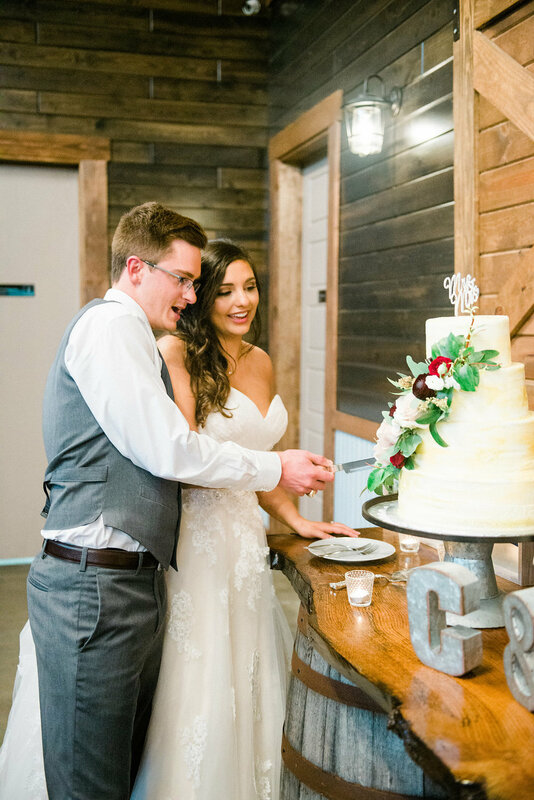 They shared a sweet first dance, cut into their beautiful wedding cake, and spent the evening sharing their loved one's company as they partied the night away! The night ended with the Aggie War Hymn, a staple down here at College Station weddings for us Aggies! Christina shared with us her thoughts on her wedding experience at Peach Creek Ranch! We are so grateful to have crossed paths with this adorable couple, and we were so honored to be a part of their big day. We wish Christina and Trey so many more happy years to come! "Peach Creek Ranch was the first Wedding venue me and my husband toured and we were blown away by how gorgeous it was. Not only was the venue perfect but Katie and Ryan were such genuine people to work with. 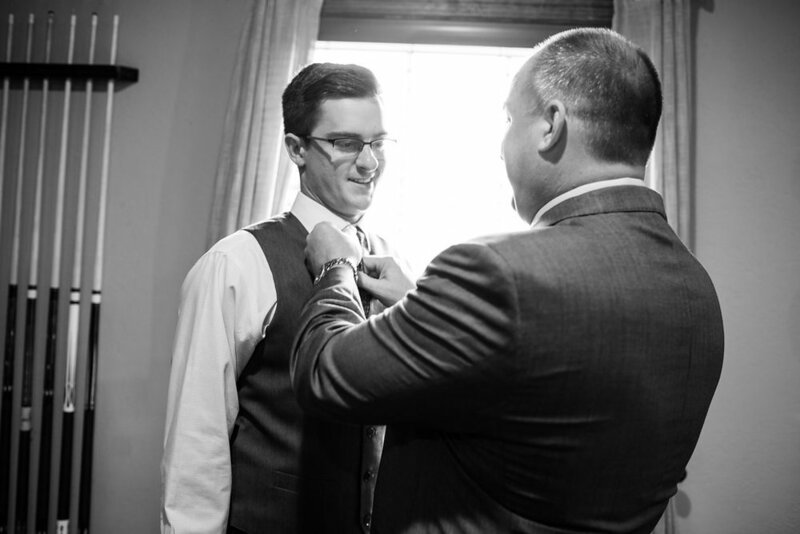 They truly cared about our big day and assisted us with any help we needed. I can't think of one thing that went wrong, it was a dream come true. Everyone is still talking about how beautiful this venue was and its been a month since the wedding!! I cant thank Peach Creek Ranch enough for making our day so magical"